Today’s fashion post is all about tips on how to make your budget outfit look chic. Because believe me, even a budget outfit can look expensive if you just take care of a couple of things. An outfit stands or falls with the quality of the fabric. And as a budget outfit means budget fabric, you might want to take a closer look at it when you’re thinking of buying it. Concerning above outfit: the skirt only cost me 20 or 25 EUR at H&M, but the fabric really looks much more expensive! By the way, the jacket only cost me 20 EUR and I wear it ALL the time. The T-shirt is from E5-mode. They have the best basic t-shirts at only 13 EUR. The fabric is of fab quality and every year I buy a couple of t-shirts in different basic colours. 2.Make sure your outfit fits perfectly! Please make sure that your outfit fits perfectly… buy the right size. When you buy a dress too big or too tight, it looks shabby, no matter how much you paid for it! A garment which fits you perfectly will immediately look better. So take it to a seamstress if necessary. Basic colours often look more elegant and expensive. These trousers for instance came in several colours, but the blue definitely looked the most expensive. Simple as that!! Make sure your clothes are well ironed, which will make all the difference. The price of a garment often shows in the details. So it’s really simple actually: the less details, the better! 6.Take care of your underwear! Make sure to wear the correct underwear. If you’re wearing the wrong size of bra, it will show and it will make your outfit look tacky. When wearing tight trousers, make sure to wear seamless underpants. 7.Wear accessories that stand out! You may want to upgrade your budget outfit with fabulous earrings, a funky scarf or a trendy necklace. It will immediately uplift your outfit! 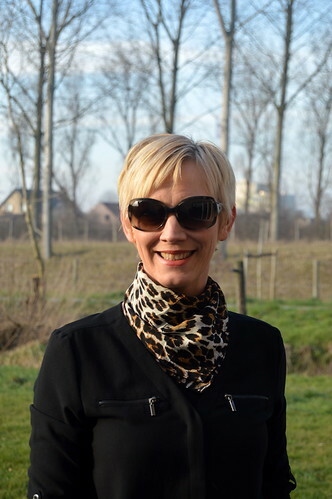 Above you see how I style a simple black jumpsuit with a leopard print scarf and some nice Dior shades.It makes the jumpsuit, which is quite casual in itself, look posh in an instant! Concerning your shoes: make sure they are clean. When you wear well maintained shoes, that might make all the difference. And please go to a shoemaker when necessary! That’s what I often do. I regularly buy my clothes at outlets or during the sales. This means that the garments I wear are usually of good quality. And then I combine them with cheaper things. I might wear a 20 EUR skirt with a blouse that cost me 80 EUR at an outlet (which was originally priced 200 EUR). The expensive garment will lift up the budget one and will boost your look. In above picture I show you a dress from Missoni. This expensive dress (which, surprise surprise I bought at the final sale of a very fancy boutique) I often wear quite chic, but this time I styled it more casual with my 20 EUR denim jacket. In the picture on top of this post, you see how I mix an expensive outfit with some budget friendly items. 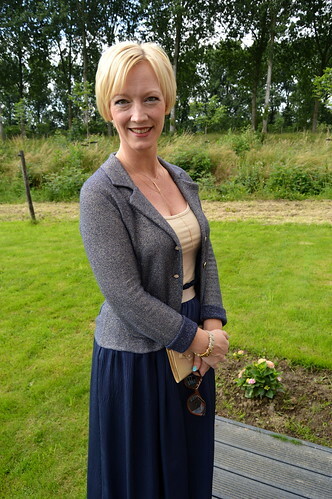 I am wearing a long skirt and glitter jacket from Liu Jo (bought at Maasmechelen Outlet Village), which I combine with a 10 EUR top and a clutch I got for free! Do you have anymore tips on how to make your budget outfit look more expensive? I’m eager to learn! 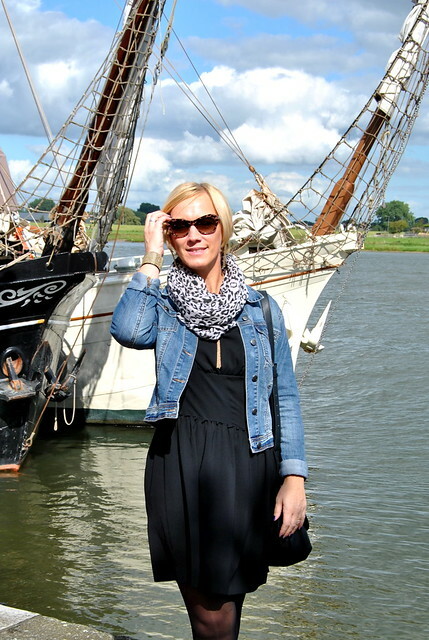 Here you can read a blogpost about Maasmechelen Outlet Village!